Find investing review of Vanguard FTSE Emerging Markets Fund (VWO). This exchange traded fund (ETF) invests in stocks of companies located in emerging markets. Vanguard has introduced various index ETF funds recently. One of the low cost index exchange traded funds (ETFs) is FTSE Emerging Markets ETF (VWO). 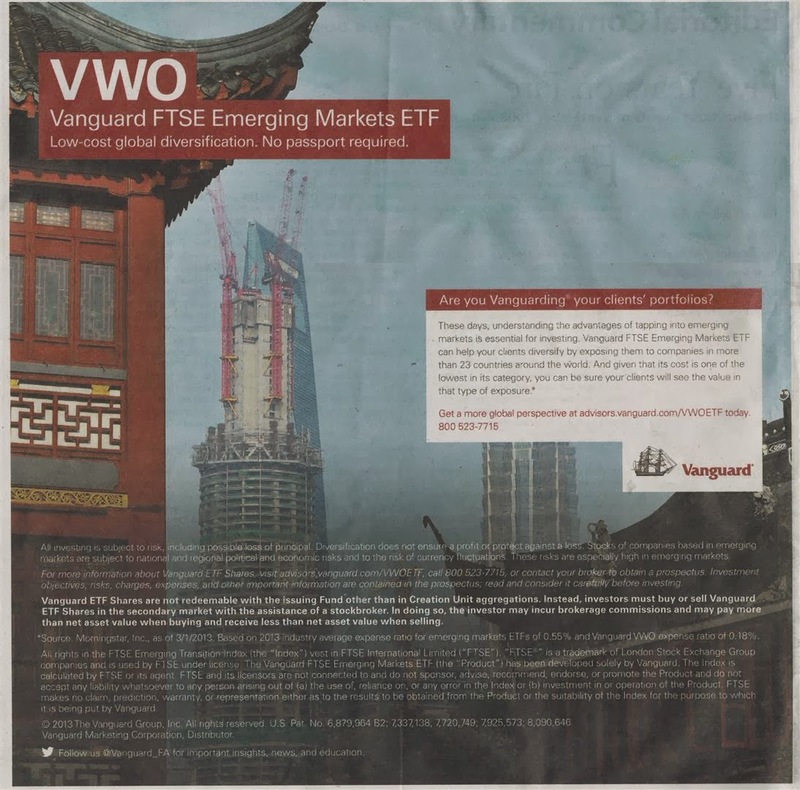 If you read a financial newspaper or magazine, you might see the ads from Vanguard Group Inc. This equity fund is passively managed. Should you buy this best ETF for your brokerage, retirement, or 401(k) account? Find my fund review below. Select the best funds for your investing account or long term account. I provide a fund review including fund performance, expense fee, rank, etc. Low-cost global diversification. No passport required. These days, understanding the advantages of tapping into emerging markets is essential for investing. Vanguard FTSE Emerging Markets ETF can help your clients diversify by exposing them to companies in more than 23 countries around the world. And given that its cost is one of the lowest in its category, you can be sure your clients will see the value in that type of exposure. The main goal of investing in the Vanguard FTSE Emerging Markets ETF is to closely track the return of the FTSE Emerging Index. It invests in stocks of companies located in emerging markets around the world, such as China, Brazil, Taiwan and South Africa. This stock fund has high potential for growth but it is also high risk. It also has a low expense ratio of 0.18%. Morningstar analysts rank this ETF fund with 3-stars rating. Based on past 5 year average, this equity fund is ranked on the 31% among its peers in Diversified Emerging Markets category. The YTD return is -2.62%. It returned 19.20% in 2012, -18.75% in 2011 and 19.46% in 2010. It uses Spliced Emerging Markets Index for its benchmark. This exchange traded fund is 100% allocated in emerging markets as of September 30, 2013. The ten largest holdings represent 16.8% of total net assets. The top 5 stocks are Taiwan Semiconductor Manufacturing Co. Ltd, Petroleo Braileiro SA, China Mobile Ltd, China Construction Bank Corp, and Gazprom OAO. If you are long term investors, you should consider Vanguard funds such as mutual funds or ETFs. It has a low cost and is great for long term performance. Don't expect a super return or low return from this fund. This ETF will track its index.